While some iPhones and Androids will not be able to use WhatsApp in 2017, a few BlackBerry and Nokia users have a grace period for 6 months more. There seems some good news for a few mobile brand users where WhatsApp was earlier reported to be pulled out from service. 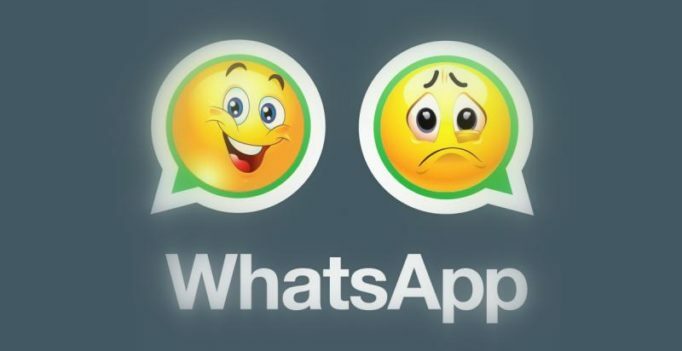 According to an earlier statement released by WhatsApp, the messaging platform would be discontinued for some older devices ranging in the Android, iOS and BBOS platform. However, in a new move, WhatsApp has now confirmed that the messaging app will see support for another six months in 2017. WhatsApp has confirmed that BlackBerry and Nokia platforms will be supported till June 2017. The support page on WhatsApp was updated with a new announcement stating that BlackBerry OS and BlackBerry 10, Nokia S40 and Nokia Symbian S60 will be supported for another 6 months in 2017, while support for Android 2.1, Android 2.2, Windows Phone 7 and iPhone 3GS and iOS 6 will be discontinued from the beginning of 2017. ‘These platforms don’t offer the kind of capabilities we need to expand our app’s features in the future. If you use one of these affected mobile devices, we recommend upgrading to a newer Android running OS 2.3+, a Windows Phone 8+, or an iPhone running iOS 7+ before the end of 2016 to continue using WhatsApp. Once you have one of these devices, simply install WhatsApp and verify your phone number on the new device to continue using WhatsApp. Keep in mind that WhatsApp can only be activated with one phone number on one device at a time,’ wrote WhatsApp on its FAQ page. There is currently no option to transfer your chat history between platforms. However, we provide the option to send your chat history attached to an email,’ confirmed WhatsApp. While this could be a good news for a few users who continue to use the said handsets, it still confirms that you would have to upgrade to a newer handset in order to continue using WhatsApp post June 20, 2017.